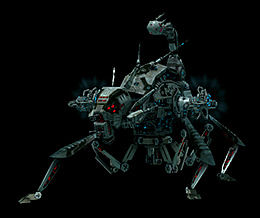 The 3rd group of Syndicate robots is just around the corner, so let's have a closer look at them. 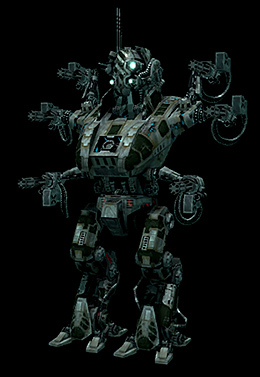 This wave consists of two assault-class robots: the Cronus, specialized in both mining and harvesting, and the Hermes, specialized in artifact hunting. 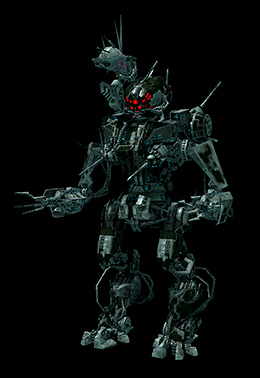 "The Cronus is the missing link between the light and mech class Nian industrial robots, suitable for both mining and harvesting duties. Although it can't really compete with the higher robot classes regarding productivity, its versatility makes it the Swiss Army knife of small-scale industrial operations." 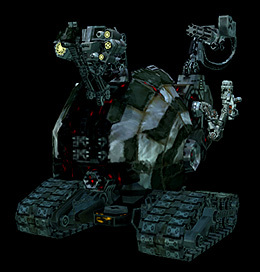 "The Nians apparently don't care much for their own history, so there wasn't any specialized robot that we could use as our own to discover underground artifacts. 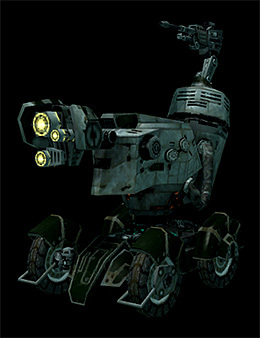 However, with the use of hybrid technologies we were able to build the Hermes - an assault robot that is not only equipped with accurate and high range underground sensors, but also has ample combat capabilities to defend itself when facing an ambush." Increased the base speed of the Argano and the Laird (including all variants) from 104.4 kph to 109.8 kph. Replaced the artifact scanning range bonus of the Argano with a bonus to signal masking. 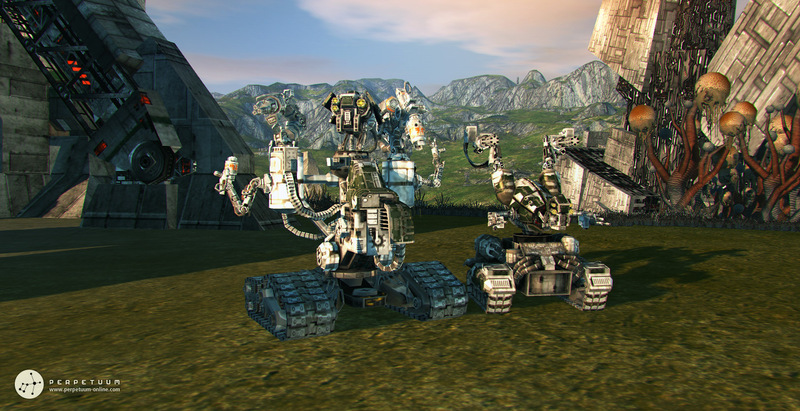 Patch 3.8.2 including the two new robots and the above mentioned changes will be deployed next week - the exact day and time will be announced soon. 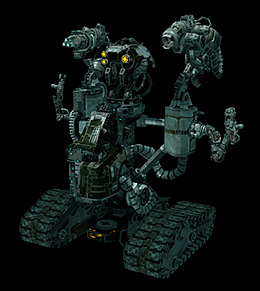 So after a little unplanned delay, we're continuing the release of new Syndicate robots. 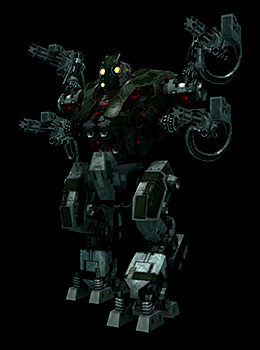 This time we're introducing two mech-class robots: the Echelon, a combat mech, and the Daidalos, a mech-class transport. 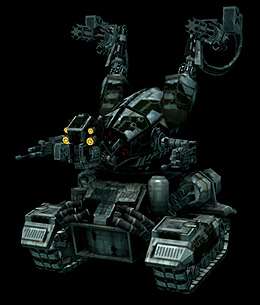 "The big brother of the Locust in every way, employing the same self-adjusting armor plating technology and stabilized machine guns. Syndicate generals usually like to put the Echelon where it belongs: to the forefront of intense battles." "We call it 'the hauler with a punch'. The Daidalos is a curious experiment in our efforts aimed to create a versatile transport robot that's more than just a sitting duck when ambushed. 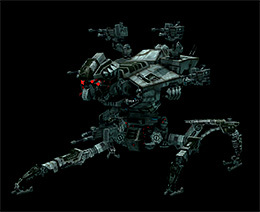 Capacity-wise it fits right between the assault and heavy mech class transports, and while it's not as tough as the Lithus, when aided by a few combat escorts it is more than capable of helping out with some damage-dealing on its own." 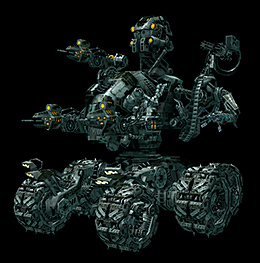 Like in the case of the first wave, robot balance has been reviewed within the currently released class, although this time I felt like a small boost to the Tyrannos was the only change necessary. The already released Syndicate robots have been also revisited, and based on your feedback and my testing sessions, a few balancing changes have been made. Increased the missile cycle time bonus of the Tyrannos from 1% to 3% per extension level. Reduced the base surface hit size of the Vektor from 3 to 2.5. Reduced the base surface hit size of the Locust from 4 to 3.5. 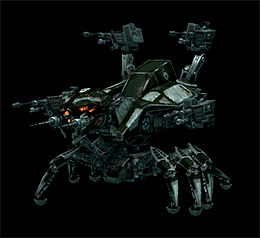 Increased the NIC cost of the Locust from 500,000 to 750,000 (token costs remain unchanged). Increased the base mass of the Locust from 11,800 kg to 15,000 kg (which means less speed reduction coming from equipped modules). All this is part of patch 3.8.1, which will be deployed tomorrow, September 23 at 15:00 CEST/servertime (13:00 UTC). Downtime is estimated to last about 1 hour.